Anderson Painting & Power Washing provides quality interior and exterior painting services to residents throughout the Triangle Area of North Carolina. We can also revitalize the look of your home with a thorough power wash and can conduct woodwork and siding repairs. Our commitment is to provide our customers with the highest level of customer satisfaction possible. We accomplish this by conducting all business in an honest and courteous manner, valuing all customer concerns and requests, and delivering professional painting services. We also maintain continuous communication with our customers and complete a final walk through and evaluation with the customer upon completion of the job. Anderson Painting and Power Washing is fully licensed and lead based certified and will make sure any job containing lead based paint is done in a safe, contained, and efficient manger. Call us today for a free estimate! Socaz Painting should be your painter for life. Your satisfaction and loyalty as a customer is most important to us. Socaz Painting employees have over 25 years of experience. We can effectively transform any project into a work of art and make your dreams more of a reality. We analyze each project and formulate the steps needed to achieve maximum and long-term success. We prepare the surface and coat it to last. Let our top-quality paint job protect your investment now, and save you headaches later. With over 30 years experience in commercial and residential painting, All Market Ready Painting specializes in interior and exterior painting, power washing, deck restoration, wood rot repair, and drywall repair, as well as quality customer service. Located in Apex, North Carolina, we service property owners in town as well as in Wake county and the surrounding areas. Headed by Danny Sweeny, Market Ready Painting prides itself in guaranteeing 100% customer satisfaction. Market Ready Painting does the job right the first time. Between our quality of work, level of customer care, and dependability, we’ve earned the respect and recommendation of hundreds of happy customers in the Apex and Wake county area. Market Ready Painting and its owner are constantly striving to improve our work. Our level of experience has afforded our team plenty of time to learn the best methods to get the most professional, beautiful job as quickly as possible. Just one example of this is the invention of Speed Drops by our owner Danny Sweeny. These reusable drop cloths make storage, transportation, and overall use incredibly efficient, and we use these to protect your floors from paint splatters, drips, spills, and damage by equipment. They’re available in area and floor size, as well as stairs, toilets, doors, and as slip-ons for our ladders. Whether you have hardwood, tile, or carpet, you’ll definitely appreciate our attention to detail as we work. This is just one of many ways that we ensure your property is left better than when we first arrived. Our mission is to go above and beyond your expectations to provide you with the best painting experience possible at a reasonable price. When it has to be precisely right, you can count on Triangle Precision Painters to deliver! The most important thing for us at Triangle Precision Painting is to exceed your expectations in all aspects of your painting project. We specialize in Residential Interior Painting, Residential Exterior Painting, Preparing Homes to be Sold, Home Renovation, and Commercial Painting. Rest assured, there is no job too big, small, tedious, or unique for us; and you will always get our highest level of service. Specified Coatings, Inc., is a locally owned and operated company servicing the Triangle area as General Painting Contractors. We specialize in interior and exterior painting projects. 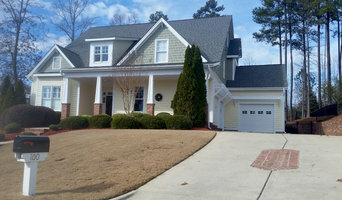 Fresh Coat of Southern Pines is a locally owned and operated painting company dedicated to providing the highest degree of customer service and satisfaction to our clients in southern Moore County. 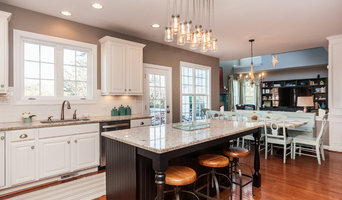 Why Choose Fresh Coat of Southern Pines? We are on time, every time The price we quote is the price you pay Our painters are employees, and they are bonded and insured Financing available for qualified buyers A live person will answer the phone - 24 hours a day, 7 days a week. You can rely on us for quality work and prompt completion dates. Our team of expert painters are fully bonded and insured for your safety and peace of mind. Plus, all our work carries a warranty, and we won't call the job finished until you are completely satisfied! With FREE quotes, on-time appointments, our 3-3-3 Customer Service Pledge, superior quality workmanship, and commitment to the community, Fresh Coat is the #1 choice. So remember, when you want your home or business painted, call Fresh Coat of Southern Pines - the Painters you can trust to get Painting Done RIGHT! 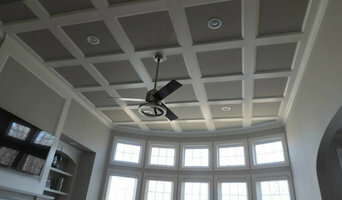 XTC Construction, LLC specializes in home repair, new construction and handyman services. Handyman to help you with everyday tasks. ABOUT US Albright Painting and Construction has 40+ years of experience in commercial and residential painting, pressure cleaning, carpentry, sheet rock repairs, plastering, wallpaper removal, textured ceilings, staining and handyman services. We have formal trade school education in painting and decorating, cost estimating, blueprint reading, do's and don'ts of ladders and scaffolding, safety and OSHA rules and regulations. Albright takes pride in our quality workmanship, making sure each and every project has adequate surface preparation. Eighty five percent of a professional paint job is how well the surface is prepared before the painting begins and how well the project is kept clean throughout the project. This type of workmanship and quality cannot be achieved by being the lowest bidder. It requires a well trained team that understands quality and success are in the details. All projects are supervised with a journeyman painter on site at all times. All projects are bid to use the middle to the top of the line products. All projects get a daily quality control inspection and will be followed up with an inspection by the owner of Albright and the journeyman supervisor. A final inspection will be with the owner of Albright and the customer. All of our estimates are free with three or more references. Estimators are professionally trained to give a cost estimate on site as well as sign a contract to start work for those customers who are ready to get on Albright's schedule. Albright understands, that with it's 40 plus years of experience, it is impossible to please every customer. All we ask from our staff, is to do everything in our power to try. Residential pressure washing for homes,driveways,decks and sealing and staining. 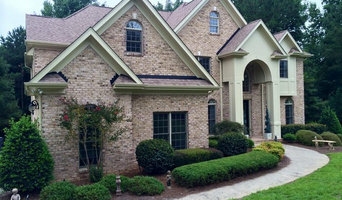 Pressure washing your Raleigh, NC home can not only improve its curb appeal, but prolong its life. Seemingly harmless dirt and buildup can turn into mold and mildew that will slowly destroy your home, but hiring a professional power washing service in Raleigh, NC can help prevent this. You can power wash most outdoor surfaces, including wood, vinyl, brick, stucco, and concrete, just make sure the Raleigh pressure washing services you get quotes from know how to adjust the pressure to clean each material appropriately.